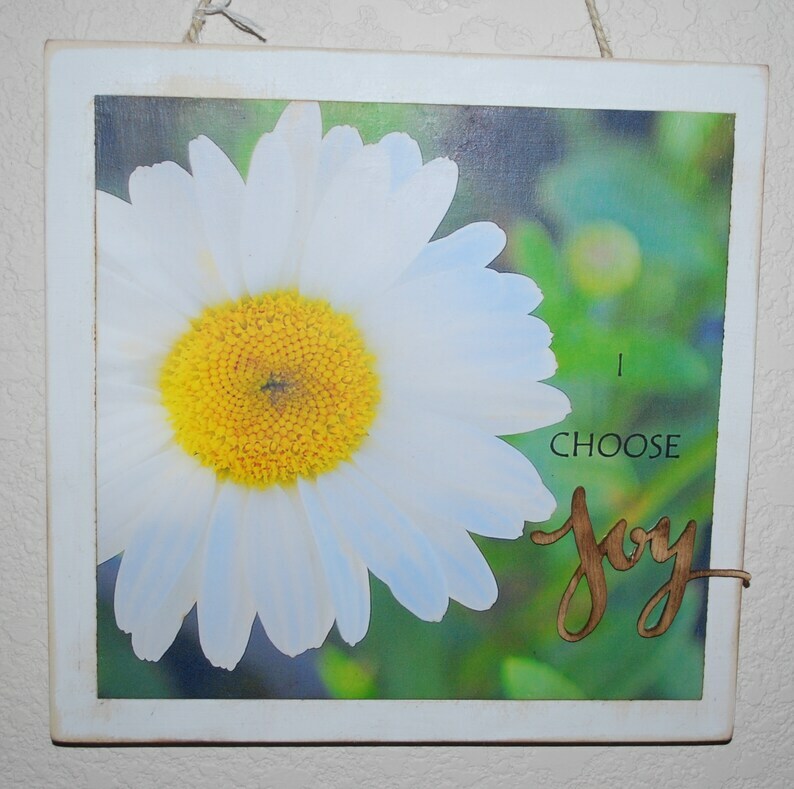 This wood photography wall hanging is 10 x 10 square. The photograph on the front of a pretty white daisy was taken by me and was decoupaged onto the front of the 10 x 10 wood square. This wood piece has been sanded, painted white, and aged to give it a shabby chic feel. On the back a piece of Jute had been added for hanging. On the front of the photo you will find the words I Choose JOY. The word joy was added to the front to give a 3D effect. It is made of wood and has been decoupaged for protection.